Master the ASVAB With FREE ASVAB Practice Tests! All of our study material is available online 24/7. Prepare for the ASVAB from anywhere in the world. With support for desktops, tablets, and mobile devices, studying for the ASVAB has never been easier. Take the practice tests as many times as you need. Study at your own pace according to your schedule. Access to our study material does not require you to register. Our study material is 100% free. Overall very helpful! I boosted my AFQT score and the practice tests were very similar to the real test. Got the MOS I was looking for. Thanks! Boost Your Score and Launch Your Military Career! Get the Military Job You Want! Are you thinking about joining the Army, Navy, Marines, or Air Force? Maybe you want to cook or write or handle explosives. Maybe you want to deal with advanced technology or pilot a drone. Whatever your military dream job, we can help you turn that dream into reality. 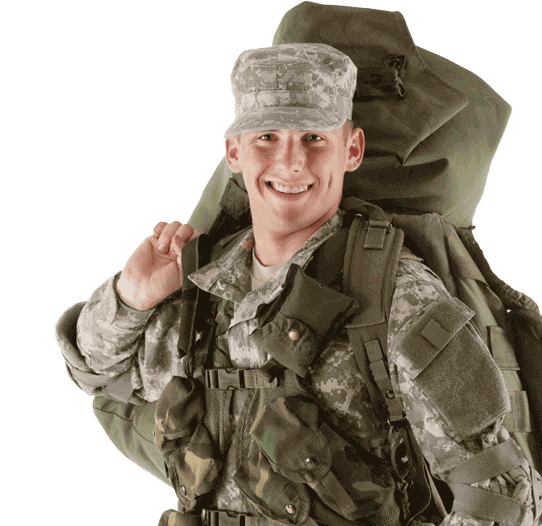 Here at ASVABTutor, we provide the practice tests and study guides that will help you prepare to ace the Armed Forces Vocational Aptitude Battery (ASVAB). The ASVAB is a series of timed aptitude tests that are used to classify selected candidates into appropriate job roles as well as ultimately decide the eligibility of candidates for US military service. In other words, perform poorly on this test and you could severely limit your opportunities in the military or even prevent yourself from serving. Want to qualify for certain education or training opportunities? Maybe you would like the opportunity to travel? Maybe you want to qualify for a larger enlistment bonus? Whatever your military goals, your ASVAB scores can have a major impact on them. Nobody wants to be stuck doing something they don’t like. That’s why we urge you to take advantage of our free practice tests and study guides. Our ASVAB practice tests are formatted exactly like the real ASVAB test and will not only help ensure you have the knowledge to ace the real exam but will also prepare for the actual experience of sitting for the test. As a result, when you take the real ASVAB you will feel relaxed and confident and will be fully prepared to do your best. Our practice tests show you what areas you are already strong in and what areas you need to study more. Then our study guides provide you with additional information and study tips that will allow you to boost your knowledge in specific areas and raise your test scores. Don’t Limit Your Military Opportunities! Whether you want to ensure you qualify in a certain area or just want to ensure you do your best in all the test areas, ASVABTutor can help. Get prepared to ace the ASVAB by taking full advantage of our free ASVAB practice tests, study guides and other resources.